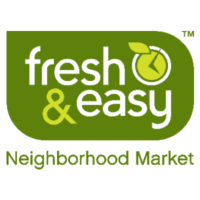 Fresh and Easy is a chain of grocery stores serving the western United States. Originally a subsidiary of Tesco, a United Kingdom based retailer, the chain was bought by Yucaipa Companies in 2013. There are 111 stores in Arizona, California and Nevada that employ over 5000 people. See the link below for the Fresh and Easy application. The brand was founded in 2006, when Tesco decided it wanted to establish a presence in the United States. Its original headquarters was in El Segundo, California. In September of 2013, however, Tesco changed its mind about its sales goals in the United States and announced that it would sell the brand to Yucaipa Companies. This sale brought about a shift in the stores’ product line, now emphasizing affordable organics. The company places a heavy focus on having a positive environmental footprint. It starts with simple initiatives like keeping its stores and parking lots clean. The company’s stores are also designed to be environmentally friendly by using energy-efficient lights and appliances, heavier insulation, and skylights and windows to allow for natural light. The stores consume on average 30% less energy than typical supermarkets. The company has many community outreach programs. They donate to local charities and also provide volunteer manpower in community improvement programs. They support the education system by offering significant discounts for schools that shop at the supermarkets. The company is also dedicated to being a fun and fulfilling place to work. See the link below for how to apply for Fresh and Easy online. There is no printable application form. With over 100 locations in the western United States, there are numerous Fresh and Easy jobs available in retail. Job opportunities include customer assistants and team leaders. There are also positions available beyond the stores in the manufacturing and distribution sphere. Examples are a maintenance team leader or quality assurance manager in manufacturing, and safety manager or mechanic in distribution. Individuals with degrees can find fulfilling Fresh and Easy Careers in the corporate office and in manufacturing. Positions are available at the office in specializations like finance, I.T., law, marketing, and human resources. The manufacturing center often seeks employees from engineering or food technology disciplines. The headquarters and manufacturing center also hire interns from these majors to give them a taste of what they can expect in their careers. How old do you have to be to work at Fresh & Easy? The minimum age to apply for jobs at Fresh and Easy varies by state. In California, applicants must be 18 years old for customer assistant positions and 21 for management positions. In Arizona, all applicants must be 19 years old and in Nevada, they must be 21. Fresh and Easy jobs come with a slate of employment benefits. Depending on whether they are full-time or part-time, employees will have access to some or all of the following: health, dental and vision insurance, prescription drug coverage, health savings and flex spending accounts, a 401k with company match, and several employee wellness programs. Employees also enjoy a special rewards program when shopping at company stores. Some of the stores are open 24 hours a day. The other locations are open 6am-midnight, 7 days a week. Below is a job description list for several Fresh and Easy jobs online. Customer Assistant- The customer assistant works to create an exceptional customer shopping experience. Responsibilities include communicating with customer to see what assistance they need, providing knowledgeable advice on products, thanking customers for their service, and assisting with keeping shelves stocked with up to date product. A high school diploma and 2 years experience in the retail industry is preferred. Salary averages $11/hour. Team Leader- The team leader coordinates all employees in the store to assemble the best customer experience and store operation possible. Responsibilities include prioritizing and supervising employee tasks, ensuring employee compliance with company policies, helping develop and train new employees upon hiring, managing new shipments and backroom stock, and interacting with vendors. A high school diploma and 2 years of retail supervisory experience is preferred. Salary averages $13/hour. Assistant Manager- The assistant manager is a step above the team leader in the supervisory chain and reports to the general manager. Responsibilities include supervising team leaders and customer assistants and prioritizing their activities, training and developing new employees, and supporting the general manager in any necessary fields. A high school diploma and 2 years as a department manager are preferred. Salary averages $17/hour. Process Development Technician- This position works with product labeling at one of the manufacturing facilities. Responsibilities include ensuring existing product labels meet established standards and using those same standards when creating new product labels. The employee should also continually seek opportunities for improvement in the labeling process to make it more efficient. 3 years of experience in the food industry and 2 in an administrative position is preferred. Below are some questions you can expect to hear in and interview for this company. Do you enjoy fast-paced work? Supermarkets can get pretty hectic for employees. From checking out customers to restocking product to dealing with any conflicts that may arise, the job requires a high-energy individual. Tell me about a time you dealt with a customer conflict. How they resolve problems and complaints can make or break a customer service worker. Tell about a time you solved a problem in a collected and positive way. Tell me about a time you had to work on a team. One individual can’t create a great supermarket experience. Everyone, from the manager to the cashier to the backroom worker, must work together to deliver excellence. Tell about a time you worked effectively with others. Do you have any other commitments? Supermarket jobs are not 9 to 5, and you should be prepared to work some night and weekend shifts. Be up front about school, family, other jobs, or any other conflicts you have. Do you like to have fun at work? The feel at this company is decidedly lighthearted, and you’ll have much more success if you demonstrate the ability to relax and enjoy your job. The only option to initiate a Fresh and Easy application is to apply online (see link below to download application form). Because the company is so environmentally friendly, there is no direct application or printable application for Fresh and Easy. When you fill out your online application, ensure it is organized and reflects your best writing skill. This is the first step to standing out among the other applications. The next step is to show up to the interview with a professional look. This doesn’t necessarily mean wearing a suit, and if interviewing for a customer assistant position that may be overkill. It simply means dressing in nice business casual clothing and ensuring that your hair and facial hair are well groomed and you smell pleasant. Come prepared with multiple copies of your résumé for review. Greet the interviewer warmly, use good eye contact, and smile. Project a professional, but relaxed, air during the interview. Prepare yourself well beforehand by practicing questions such as those listed above so that you aren’t nervous. Speak to the interviewer as you would a potential customer. Be enthusiastic, open, and really listen to what they have to say. Finally, remember that the interview is as much for your benefit as it is the company’s. Ask questions about anything that may interest or concern you, such as what opportunities there are for career advancement, how many hours a week you will be working, how you can become a volunteer, and more. This will impress the interviewer as well, since they will see how interested you are in the job.